Yowza!! 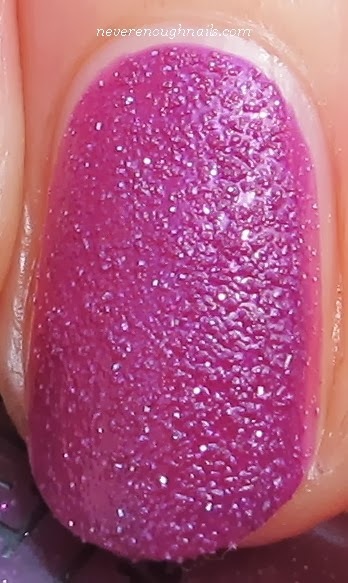 Meet my current polish crush, OPI My Current Crush, a stunning pinky purple Liquid Sand with scattered silver glitter. I've mentioned my obsession with textures, Liquid Sands in particular, many a time here, and purple is my favorite color, so this was necessary in my life. I first spotted it before Christmas, but it was $14.99 (it comes with OPI Natural Nails Base Coat). Ulta had it this past weekend marked down to $9.99, yay! My Current Crush is pretty darn close to the color of the year, Radiant Orchid. 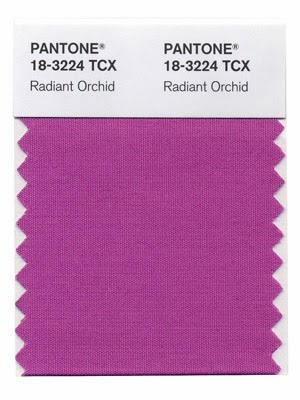 I am kind of a nerd, so I get all excited about the "color of the year" and Radiant Orchid also happens to be gorgeous. I'm psyched to have a Liquid Sand in this shade. My Current Crush has an amazing formula too. This was two thin coats. It was extremely easy to apply- I did not do any clean-up after these swatches and you can see I was able to get that nice rounded look by the cuticle. This is now my official go to lazy/rushed mani polish. OPI My Current Crush is available at an Ulta near you! I really like this color, I'm so-so on the texture but love that color. It's a really beautiful color Lissa! I'd like to find a creme in this exact shade, I'll let you know if I do!